BATON ROUGE, La. – Bobby Jindal, Louisiana’s Republican governor-elect, will be not only the nation’s youngest governor when he is sworn into office in January, but he’ll be the first Indian-American governor and the first who is a convert from Hinduism to Catholicism. Mr. Jindal, 36, is a U.S. congressman elected in 2004 to represent Louisiana’s 1st District. 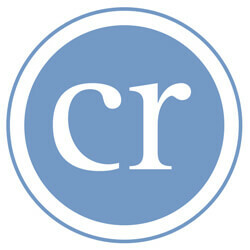 Raised a Hindu by his Indian-born parents, he converted to Catholicism when he was a student at Brown University in Providence, R.I.
Hinduism is different from most other religions because it is a collection of philosophies, Mr. Jindal said 10 years ago in an interview with The Catholic Commentator, Baton Rouge diocesan newspaper. Born and raised in Baton Rouge, Mr. Jindal said the values and practices he and his brother were taught by their parents were not very different from what Christian children in their neighborhood were being taught. “We were raised to pray to God every night, to give thanks to God when good things happen and to seek help when things are bad,” he said. Hinduism focuses on honesty, charity, chastity and fidelity. “We learned to treat other people well and that God gives us opportunities and gifts which we need to share with others,” he said. They also were taught to be grateful to God for blessings they received and to be good stewards of what God gave them. When he was in high school, the death of his maternal grandfather prompted Mr. Jindal to begin reading about Christianity, searching for answers. Concern about whether his grandfather would earn passage into heaven and be reincarnated, a fundamental Hindu belief, made the grandson wonder if he would ever see his beloved grandfather in the afterlife. Mr. Jindal began reading a Bible given to him by his best friend, a Southern Baptist. He read it cover to cover. He read scriptural commentaries, looking to disprove Christianity. He read everything on Christianity he could get his hands on. While he was a junior in high school, a film on Jesus’ crucifixion also had a profound effect on his search for answers about his grandfather’s salvation. He began going to Mass occasionally with a high school friend. When he went to Brown, he promised the friend he would continue to go to Mass regularly. One Sunday, the priest asked Mr. Jindal to help him prepare the altar for Mass, to which the student replied he couldn’t because he was not Catholic. Reassured that it did not matter, Mr. Jindal lit the candles and prepared the altar, and was struck by the question: “What if the bread and wine really is Jesus Christ?” Immediately, he had a great hunger for the Eucharist, to take Jesus Christ into his own body. During his sophomore year at Brown, Mr. Jindal was baptized and confirmed. While in college, he taught confirmation classes and Bible study. He has told teenagers who have not been confirmed they should not hide their faith. “If we don’t talk about our faith and morals, who will?” Mr. Jindal said. The five beliefs are that the Bible alone is not sufficient to understand God’s will; that apostolic succession links Catholic bishops directly to the apostles; that the pope has special authority as the successor of St. Peter; that the seven sacraments transmit God’s grace; and that, in addition to faith, good works are required for eternal life. “I am thrilled by the recent ecumenical discussions that have resulted in Catholics and evangelicals discovering what they have in common, … but I do not want our evangelical friends to overlook those beliefs that make Catholicism unique,” he wrote. Mr. Jindal has been on the fast track ever since his 1992 graduation at age 20 from Brown. According to the biography on his official House Web site, he turned down admissions to medical and law schools at both Harvard and Yale to attend Oxford University in England as a Rhodes scholar. He earned a master’s degree in political theory from Oxford in 1994 and was named secretary of the Louisiana Department of Health and Hospitals two years later. According to Modern Healthcare magazine, Mr. Jindal turned the department’s $400 million deficit into a $48 million surplus in two years. In 1998 he was named executive director of the National Bipartisan Commission on the Future of Medicare, established to explore ways to reform the program. The following year he was named president of the University of Louisiana System, overseeing eight universities attended by 80,000 students. Mr. Jindal was named assistant secretary of the U.S. Department of Health and Human Services in 2001, during President George W. Bush’s first term. He left that post to run for Louisiana governor in 2003 against Democrat Kathleen Blanco, who narrowly defeated him. Elected to Congress in 2004 with 78 percent of the vote, he was re-elected by a similar margin two years later. He serves on the House committees on Homeland Security and on Natural Resources. 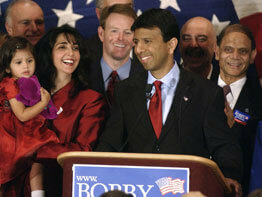 Mr. Jindal and his wife, Supriya, have three young children.